This is a Goose Creek candle and wax melt haul from awhile back with a lot of fall scents. There will be a list of the wax melts and candles that I picked up, scent descriptions of each, as well as, cold sniff impressions. Official Scent Description: This alluring fragrance takes hold of your senses featuring top notes of leather and bergamot. Suede, cardamom and moss enrich the heart leading into warming base notes of amber, musk, cedar and sandalwood. The strongest notes to my nose are: leather, suede, and very earthy moss. I don't pick up any of the other notes on cold except every other sniff I get a warmth in the background that I'm assuming is the cardamom. It's like you had a leather clad cowboy who rolled down a moss covered hill, got covered in dirt, and then let you take a good sniff of his clothes. It's quite lovely. Official Scent Description: The beautiful fragrance of freshly ripened oranges with sweet and soft golden vanilla. This is reminiscent of an orange-sicle, but orange is more of a fresh fruit than a "whatever artificial thing they put in cheap ice cream" scent. I'll be curious to melt it as I've not had luck with these types of scents. I had a candle in Dreamsicle from Yankee Candle which smelled like a divine ice cream treat on cold. It turned into soured orange mop cleaner while burning, though. Blech. Hopefully, this melt will serve me better. Official Scent Description: Enjoy notes of black currant, Fuji apple, and tangerine, enriched with a warm heart of cinnamon stick, clove bud, and plum puree. Cedarwood, oak bark, amber, convey a cozy finish. I was worried about this one when I ordered it, because I am not a big fan of the generic apple cinnamon scents with which this holiday season constantly slaps you in the face. This is not that at all! The black currant and tangerine give that apple note some dark and delicious life. The spice note is an equal blend of cinnamon and clove. I don't detect any of the woodsy or amber notes on cold. Maybe it will come out in the warmer. Official Scent Description: Delight your senses in this fresh, invigorating blend as juicy grapefruit, orange and cassis mingle together with a vibrant bouquet of cyclamen, violet leaf, black currant and musk. This is a repurchase. I already have a detailed review of this wax melt up on the blog. You can find that wax review post HERE. Official Scent Description: It’s a fresh outdoor pumpkin fragrance with notes of cinnamon, clove, bergamot, rose and woody. The bottom notes are woods, vanilla, and patchouli. The first note that jumps out to me is wood. It is not a pine or cedar wood. It's a green or young wood almost like you took a greener than grass banana that tastes like a plant stalk and rubbed it on some bland white wood. I spend a lot of time in a wood workshop. So, I'm digging it. It's very unique compared to other wax melts I've encountered. The only other note I get is a slight hint in the background of a weak spice. We'll have to see what happens in the warmer. I get bergamot first with a bright and tangy lemon notes behind it. I'm curious as to how this one will do in the warmer. It has that lemon note that could either go light and fresh or dollar store mop cleaner. I don't get any herbal notes on cold at all. Official Scent Description: A mouth watering blend of toasted hazelnuts and creamy vanilla with sugarcoated vanilla bean, butter, and coconut. Oh wow! This one reminds me of the Bath & Body Works Kitchen Spice candle that I just finished burning. It smells identical to me. Did I find a Bath & Body Works dupe? Oh yeah! This is just so warm and nutty. You get the toasted hazelnuts that are rounded out by the warm vanilla. I don't pick up any coconut. I'm so excited to melt this one, because I love that Kitchen Spice candle! Official Scent Description: The fun days of fall... Sweet autumn air, smoky embered woods and warm spices of ginger, cinnamon and clove. Enjoy the harvest hayride. How do I even begin to describe this scent? It's so unlike any fall scent I've sniffed. I get all the notes stated in the scent description above in pretty equal balance. You really do get a realistic fragrant hard wood note with the spiciness of the cinnamon and clove, the brightness of ginger, and just a wisp of smoke in the background. Wow! I may melt this one next. Official Scent Description: Slip into the peaceful journey at sea as sparkling bergamot, mandarin, nashi pear and golden pineapple entice your senses. The heart is salt grass, watery floral, lily of the valley and white woods. I don't pick up any of the fruit notes on cold. I mainly get the watery floral. I could see this scent as working with body care as well. Official Scent Description: The exotic earthly allure of patchouli with notes of woody patchouli, sandalwood, cedar and white cashmere. This is definitely not a classic Patchouli. I get the white cashmere note first with sandalwood behind it. The patchouli peeks out after those notes. I didn't smell any cedar on cold at all. 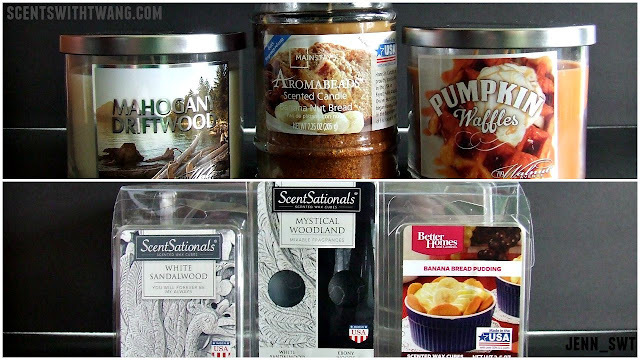 Official Scent Description: Invite Autumn in! Fresh fallen leaves cozy up to the sweet and smoldering scent of pure cane molasses, spiced pumpkin and caramel amber. The sweet molasses mixed and caramel are the strongest on cold. It is a lighter, sweeter molasses instead of a dark sorghum. The pumpkin spice is very muted in the background. Official Scent Description: The home baked goodness of a delicious spice cake with warm kitchen spices, baked apples, pecans, and brown sugar. I get a mix of spices and pecans as the strongest notes. The spice is quite strong so my poor nose can't detect anything pass that on cold. Official Scent Description: Stay warm and cozy with a frothy latte. "Brewed" with creamy maple, vanilla spice, warm milk, cinnamon stick and white pumpkin spice. This just smells like a classic pumpkin pie scent to me. The pumpkin spice is mainly what comes out with a hint of sweetest behind it that smells like pumpkin pie. Official Scent Description: This sweet and spicy treat folds cinnamon, shaved nutmeg, fresh ginger and cake batter into a delicious pumpkin muffin. The finishing touch is brown sugar, maple icing and vanilla. This is such a sweet dessert muffin scent. It's like that cupcake that you refer to as a "muffin" to make it seem healthier. Haha! This smells like a really spicy pumpkin cake with maple frosting on top. I don't detect any vanilla on cold, but the nutmeg and ginger really set this one apart from all the other 9000 generic pumpkin spice scents that I've come across. *Not sponsored. I had to abuse my wallet for these goodies. Haha. **Official scents descriptions from Goose Creek's official site. 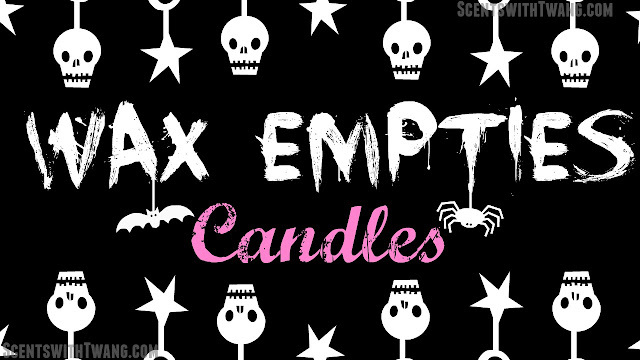 It is time once again to dig through my candle trash in another empties review post and video. If you aren't familiar with empties reviews, I basically save all the jars of the candles that I've burned completely down to give y'all my thoughts on how they performed and if I would repurchase them. Video is embedded below, as well as, the complete included candle list in video order with short, mini reviews of each candle in case you are pressed for time or text is more your thing. *Not sponsored. I bought all these myself. **These candle reviews are based on my own experience with these particular candles. You experience may vary and all that crap. 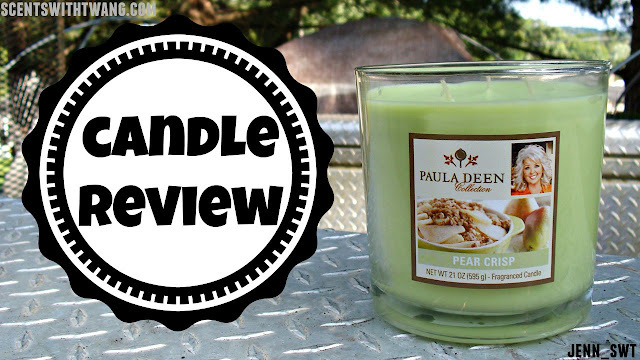 Today, I am reviewing Pear Crisp from the Paula Deen Collection. I picked this candle up awhile back at my local Big Lots store. 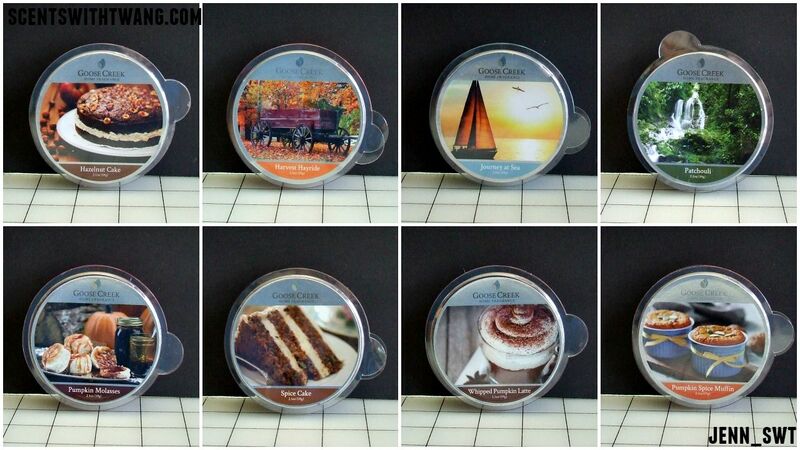 I have burned two other candles from this brand recently: Lemon Bars and Coconut Macaroon. The first did quite well while the other did poorly. So, I'm thinking this one is going to be hit or miss as well. I definitely get a warm baked pear scent with a hint of the sweet crumble topping befitting a baked crisp dessert. It is quite light on cold. Burn: It burned pretty well. I did have to trim the wick often as the flames would get high enough to soot like mad every 90 minutes or so. It always pooled out evenly, didn't tunnel, and left little wax on the sides. Throw: What throw? Haha. Seriously, this candle gave me nothing but a bit of warm and illumination. There was nothing. NOTHING. Well, I do like the candle jar. It's very heavily weighted on the bottom and will be fun to repurpose after I clean it out. The candle itself may as well have been unscented. 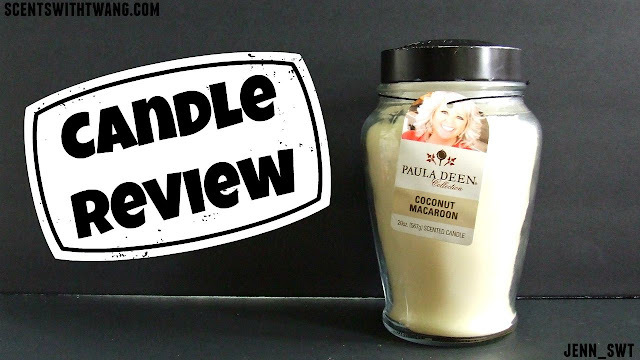 I think this concludes my journey with trying Paula Deen candles unless I find one at 90% or more marked down. I am 425% over wasting my money on candles that do poorly. *Not sponsored. I bought this pitiful candle with my own money and regret it. I do get a good glass out of the deal...that I have to clean out myself. Ugh. Today, I am reviewing Coconut Macaroon from the Paula Deen Collection. I picked this candle up at my local Big Lots for $7. I am very hit and miss with these Paula Deen candles. I hope it will do well, but I'm not expecting anything spectacular. It smells like you went to the store, bought a bag of sweet coconut flakes, and then proceeded to huff it like a mad man. It's just sweet coconut goodness. This wick on this candle was centered at the very top and then ten kinds of crooked the rest of the way down. It went from one side to the next. It was seriously the worst placed wick I've come across so far. I ended up having to blow the candle out early, because the wick was all the way on the glass in the corner at the bottom. I did have problem with sooting. First, as mentioned above, the wick was really crooked which contributed to the soot build up. Also, this was a candle that I had to babysit a bit since the flames ran high and curled over on itself. As for the throw, it was very light. I also couldn't smell any of the delicious coconut that you get on cold sniff. It was just a very weak sweet vanilla scent. This candle was a big disappointment. I had to babysit it. The wick was extremely crooked. The weak throw was also a huge disappointment. I would never repurchase this scent or style of candle from this line ever again. *This is my experience with this particular candle. Your experience may vary. *Not sponsored. I bought this myself. Today, I am reviewing Summer Sherbet from Goose Creek Candles. The full retail price for this candle is $24.99, but the company often has sales on their website. I've heard that many people also find these candles for less at stores like Homegoods and TJ Maxx. Official Scent Description: It’s summer’s favorite scoop. Summer Sherbet is a rainbow of flavors. With orange, lemon, lime, peach and raspberry. I have high hopes for this one as I've been having good luck with burn and throw with other candles from this brand so far. I've also already tried this scent in wax melt form and it did quite well for me. It smells just like the name. It's like you went to the store and huffed a tub of rainbow sherbet. You get that sweet creamy lime goodness with sweet artificial fruitiness right behind it. Duration: 58 hours; I blew the candle out with about an inch of wax left. So, I would have easily have gotten the 70-90 hours that the company claims. Burn: The burn was pretty good. I had the same problem as I've had with other Goose Creek candles in that the wicks, no matter how short I trim them, get sky high after a couple hours. So, a little bit of baby sitting was required. Despite that, the soot was quite minimal. I did have a weird issue where there were black deposits left on the side of the glass. The wax also began to greatly discolor halfway down. It went from the vibrant color you see in the picture above to a dirty rancid grease brown color. Throw: Despite being strong on cold, it had little to no throw from the beginning. Every once in a great while, I'd get a ghost of a lime scent if I stood right over it. It was very disappointing. I ended up blowing it out early, because about an inch and a half from the bottom it started putting off a nasty scent. It was like smoky, rancid grease. It gave me flashbacks of when I used to work food jobs and have to switch out or filter the fryer grease. The wax also began to greatly discolor as I mentioned above. I was really disappointed with this candle especially after having success with this scent in the wax melts. This is also the first Goose Creek candle that hasn't had a throw that I've encountered. I also am still puzzled by the black deposits left on the glass, the rancid turn in the scent throw, and the wax becoming greatly increasingly discolored. I would never repurchase this candle again. I love the scent. So, I would repurchase the wax melts. 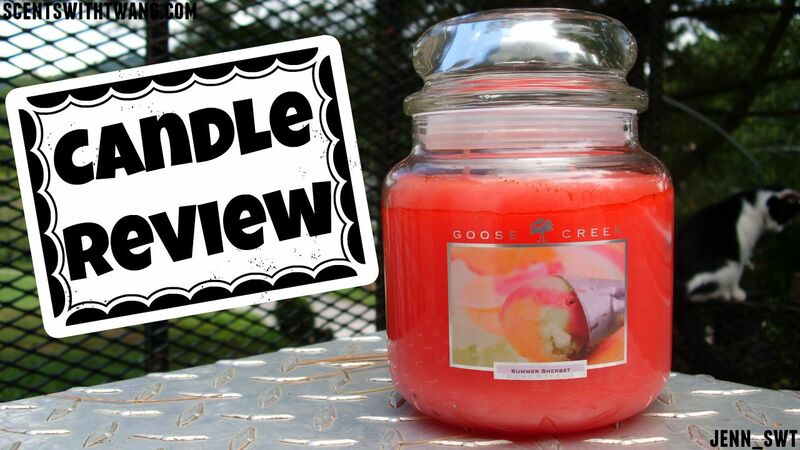 *This review is my opinion based off of my experience with this particular candle. Your experience may vary. *Not sponsored. I bought this myself with my own money. A small Dollar Tree with a junk food pile of shame...and sugary deliciousness. All but the animal crackers are for me. I'm on a restricted diet in which I can't eat any fat. Lucky for me, a lot of candy is fat free. That's mainly because it's a big pile of dyes and sugar, but I'll take it. Candy, candy! I talked about this in my last Dollar Tree haul. It has a good consistency and great for a dollar. It doesn't taste like dairy milk. It is very much a soy taste. This is one of my top 5 Dollar Tree products and my favorite store bought pizza sauce. I hope they carry it forever and always. It completes me. I wish it was fat free. If I'm ever able to digest fat again, I shall drink it in one shot. On top of the increased junk food consumption, I have a dental check up fast approaching. So, I have to raise my floss game up a level. I usually coupon the Oral-B ones. I thought I would give these a try since I'm completely out. I've tried one so far, and it was quite good. It will be a great back up for me when I'm out of the others. We picked these up to try in our smoke detectors. They should be okay in that application. The super heavy duty batteries are not any good for anything that requires much juice. I tried them in my camera once and they lasted about 5 minutes. This is a small haul from my local Walmart from a little bit ago. Product list, scent impressions, mini reviews of items I've used, and more will be below. This candle retails for $4.97 and can be found in the cleaner aisle with the scented oil plug ins and fabric refreshers. Official Scent Description: The cologne of mahogany and cedar woods are rounded with light floral notes. The scent description is quite accurate to what you get on cold and burning. To my nose, it is 90% plus the same as Bath & Body Works Mahogany Teakwood. I have seen some reviewers describe this scent as an Abecrombie & Fitch scent. I have never been in or near one of those stores. (I live in the boonies, y'all. Also, I don't believe in paying a ton of money for crappily made clothes with a fancy logo throw on. Oh hey.) I thought it may give someone a point of reference to mention that. I haven't burned the particular candle in the picture above as of yet, but I have burned one before this one with a different label that had an autumn leaf on it in the bottom right corner. Perhaps, it was last year's packaging? I will have a review post of that one coming up soon with more details. The one I had completely burned did quite well. It burned like a dream. I did only get a medium throw at the strongest point. So, I was baffled by that as all of the other reviews I've seen speak of a really strong throw. Those reviews showed a candle with the packaging above. So, I decided to pick another one up with this particular label to see if I have any better luck. This candle retails for $5.00 and can be found in the candle aisle in the home decor section of the store. I couldn't find an official scent description, but it's pretty self explanatory. I wanted to try one of these, because this is one of the Mainstays lines made by Hanna's Candles with whom I've always had pretty good success. Also, the price was right. Oh yeah! I have burned this one all the way down and should have a separate detailed review coming up. The burn was pretty good. The throw was amazing! I was shocked. It filled up half the house and then some. It was consistent in scent up until about 80-85% of the way down (about 3/4" of wax left.) Then, the banana note went a little wonky. Overall, I was over the moon and intend to try more of the candles from this line as soon as I have funds and burn down some more I already have. Official Scent Description: Deliciously decadent, pumpkin waffles are topped with rich maple syrup and a touch of brown sugar. A lot of people say that it's a dupe for Bath and Body Works' Pumpkin Pecan Waffles. I have never had that candle. So, I can neither confirm or deny that. This is not the usual type of scent that I pick up. I'm just not a syrupy sweet bakery kind of gal. I'm a wood chip, patchouli, leathery lumber jack sitting in a pine tree with a piece of spearmint candy in his mouth type of scent lady. Haha! I have just seen so many great reviews for it that claim that the throw is unparalleled. 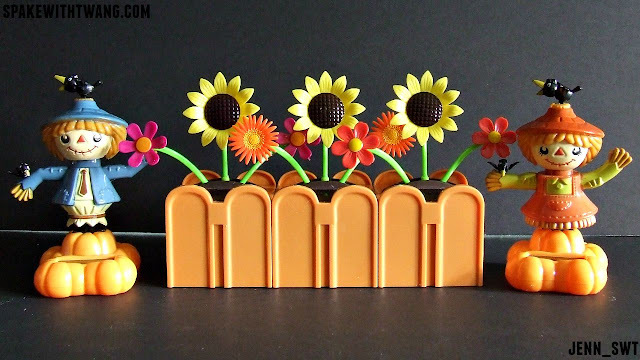 Many people say that it's one of their top favorite candles of all time. So, I just had to pick up this candle poured with delicate angel hands with wax mixed with unicorn tears to try for myself. I am very hopeful, because I've had decent luck with other products from this brand. I haven't burned it yet as I want to do a thorough review post of it which will hopefully be coming up soon. This pack retails for $2.00 and can be found in the candle aisle of the home decor section of the store. I couldn't find an official scent description. It does say, "You will forever be my always" on the front with an angry looking peacock drawn in charcoal. That's not creepy at all, not even one tiny bit. I haven't melted these yet, but they smell just like the name suggests. It reminds me of my old incense days. Oh yes. This is a dual scent pack with 5 quarter ounce cubes each of White Sandalwood and Ebony Woods. I talked about White Sandalwood above. I'm not getting much of anything off Ebony Woods on cold. So, I hope something happens when I go to melt it. I couldn't find an official scent description, but this smells like a equal mix of banana instant pudding and vanilla wafers. I haven't melted this yet, but I hope it does well. Banana scents can be sweet and amazing or end up smelling like old popcorn in my experience. *As always, this are my opinions based on these particular products. Your experience may vary, etc. This is a series that I do on the blog as well as on my youtube channel (video below) every other Tuesday. I pick seven random polishes from my collection of which to take swatch pictures, film live swatches, and do mini reviews. The picture above shows 2 coats without a top coat under a daylight bulb. 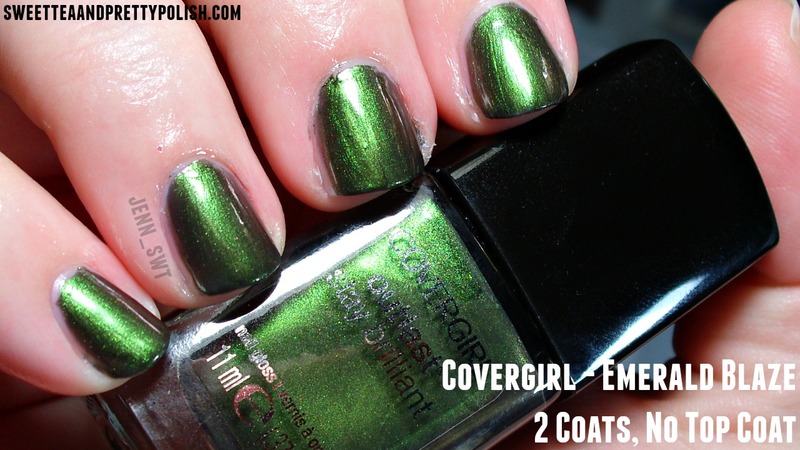 The polish goes from the green shown in the picture to a brown with the finish depending on the angle. I picked this one up at CVS on a Extracare Bucks deal a little while ago. The formula is fabulous! 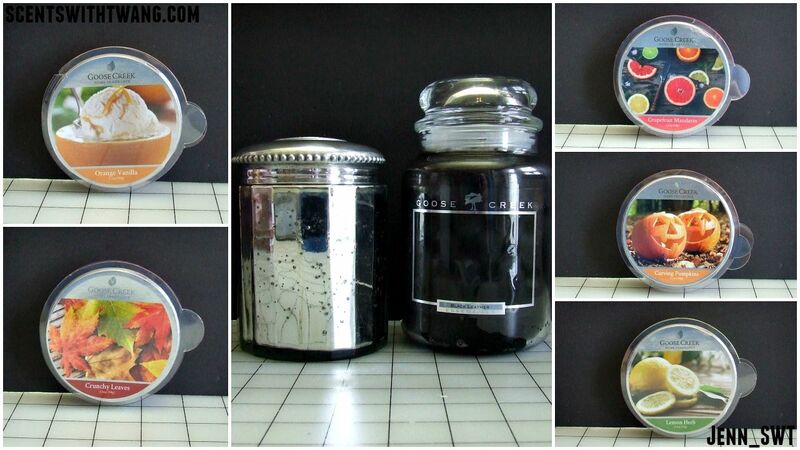 It is an easy to paint with consistency and goes on smooth. I actually chose this polish to wear for the week after I took these pictures and shot my video. I got fair to middling wear time, for me, out of it with my usual top and base coat. I got a significant chip on my middle finger after 3 days. By day 5, I had to take the polish off as it was flaking off in several places. I usually get around a week out of polishes. It's a gorgeous polish, but I wish it was more resilient to the rough wear through which I put my hands. The picture above shows 2 coats without a top coat under a daylight bulb. The color appears a bit cooler toned in the photo than in person. I picked this one up on an online clearance sale from Sally Beauty a few months ago. This is the first Finger Paints polish that I have ever worn or swatched. I really like the application wand. The brush is also nice, but mine was cut crooked. I am actually wearing this polish as I type this. So, I can talk a little bit more about the formula and wear. The formula is pretty good. It goes on the nail a bit thick. So, it dries a little slower than I would prefer. I painted them last night, complete with base and quick dry top coat, and dented one of my nails over an hour later. FRUSTRATION! Haha. Thankfully, that was the only mishap as the other nails set up well. I'm on the end of day 2 for wear, and it looks as good as when I first painted it. I've been to hell and half Georgia today, too. I'm not easy on my hands at all. Ain't got time or money to be a dainty princess when there's cats to pet, things to build, and jobs to be had. I do love me some dainty princess manicures, though. Whoohoo! The picture above shows 2 coats without a top coat under a daylight bulb. The color appears cooler in tone in the picture than it does to the naked eye. I picked this polish up last year directly from the brand's website during a promotion. This is one of my favorites in my entire collection. It's gray! It's glitter! It's...life. Haha. The formula is a tiny hair on the thin side but really great overall. It is one of the best formulas out of any of the Zoya polishes I own. I've worn this polish several times, and I almost always get at least a week with my preferred base and top coats. I really want to put this back on my nails again after looking at the picture. Love it! The above picture shows 2 coats without a top coat under a daylight bulb. I picked this polish up a little while back at my local brick and mortar Sally Beauty store on clearance. The formula on this one is amazing! I was so happy since I've not had good luck with formulas from this brand so far. It dries to a matte and textured finish as shown above. I wonder if it is intended as a crackle polish as I noticed some cracks trying to form as it dried. I don't keep up with collections or the polish world. So, I'm not sure. I wish it would just say on the bottle. The picture above shows 2 coats without a top coat under a daylight bulb. I received this polish as a gift, but this brand can be found for the best price at Dollar Tree and Big Lots. The formula is quite good. It goes on easily and goes where you want. I've worn this one quite a few times. I usually get great wear time of at least a week when I wear my base and top coat. This is one of the polishes that I have in my collection to fall back on if I need to slap some polish on and go without worry. I've even gotten several days out of it without a base and top coat. This picture above shows one thick coat without a top coat under a daylight bulb. I picked this polish up for $1 at my local Big Lots store. 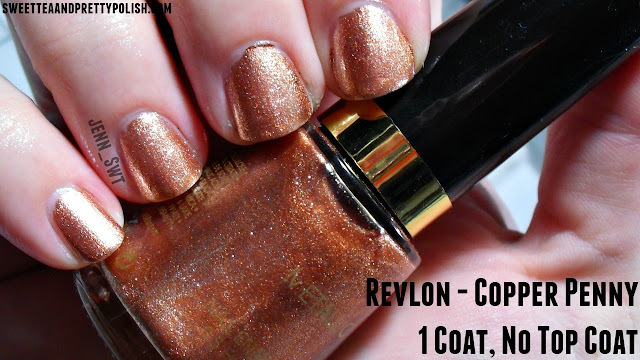 As with the other Revlon metallics, the formula is great! You really can't go wrong with the gold, silver, or this copper from the line. Shiny melted penny fingers are what life is about. The picture above shows 2 coats on the middle finger and 1 coat over black on the other 3 fingers. This was taken under a daylight bulb. I picked this polish up at Kroger awhile back either full price or with a coupon. This is one of my favorites in my collection. I don't have anything else like it. 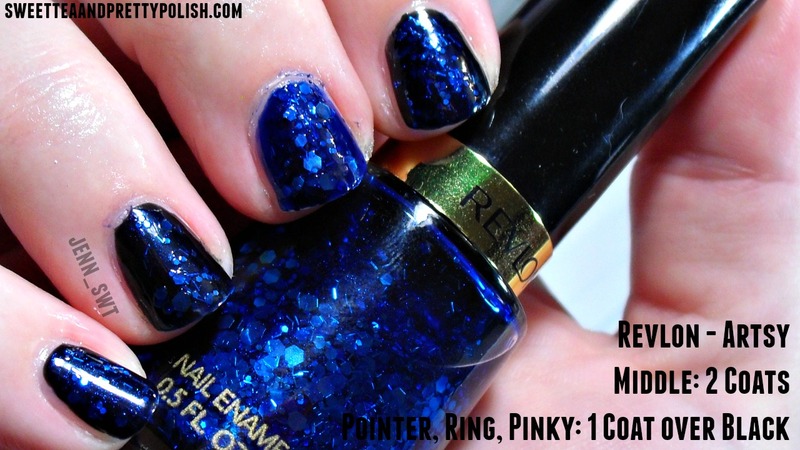 It's a blue base with silver glitters that is just magical. The formula is a hair runny, but it's alright. I've worn this several times, and I've gotten average wear time for a chunky glitter like this one. I find that on the 3rd or 4th day, the larger glitters start to chip off which is normal for me. Favorites: I like too many of these to ever choose one. This is just a great group of polishes in my opinion. They are all worthy of their spot in my collection. *Not sponsored in anyway. I purchased all of these polishes myself with the exception of the Maybelline which I received as a gift. 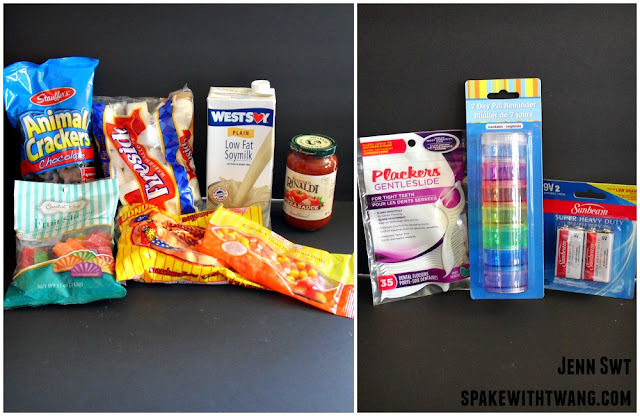 This is the rest of the goodies that I picked up from Dollar Tree in the month of September. These scarecrows are seriously some of the cutest they've come out with in awhile. I just love everything about them. I'm also very happy that the solar catcher is flat, because the slanted ones they do don't work as well in my experience. I was so excited when I saw these in the store. It was the last pack there as well so I felt extra special. I mean, what's better that a 2 pack of trivets for a buck? To my dismay, these are very cheaply made. 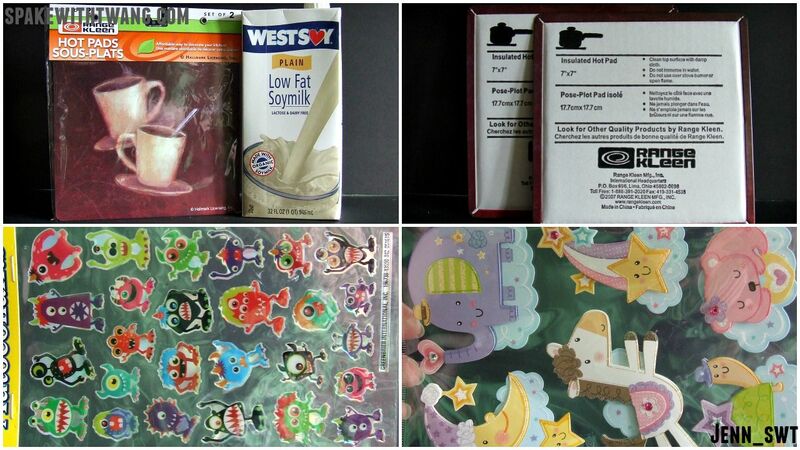 If you look at the picture in the right hand corner, I discovered that they are cardboard with just a thin metal sheet on the front. So, you can't use it near the stove or even get it wet without completely ruining it. I use them by my computer to put my coffee cup on. I'm kind of bummed, but at least they are cute and cheap. I have to drink either soy or almond milk nowadays. So, I just had to try this kind out. I usually get, unless I have a good coupon, the Great Value in the cold case at Walmart for $2.57 a half gallon (or 2 quarts.) This is a quart for a $1.00. So, it's about the same price as the Walmart kind everyday per volume, but I am always looking for more options in my po'dunk area. I've had the vanilla WestSoy before, and it's actually my all time favorite soy milk. This stuff was good as well. It wasn't as good as the vanilla, but it did well in my coffee. Let me make a note. If you are someone who is used to only drinking dairy milk, this will probably taste weird to you. It doesn't taste like dairy milk at all. It is very much a soy milk taste. If you are thinking about switching off dairy, I suggest starting with a sweetened vanilla flavored non-dairy milk and working your way to something like this. I don't need anymore stickers, but I picked these 2 up anyway. I just thought they were super cute. Though, they will probably be the last ones I buy until I use up most of what I have. I even resisted the halloween stickers and washi tape in store the other day. I deserve a gold star. I'm sure I have one in my crazy large sticker collection. "When Geniver Loxley lost her daughter at birth eight years ago, her world stopped… and never fully started again. Mothers with strollers still make her flinch; her love of writing has turned into a half-hearted teaching career; and she and her husband, Art, have slipped into the kind of rut that seems inescapable. But then a stranger shows up on their doorstep, telling Gen the very thing she's always wanted to hear: that her daughter Beth was not stillborn, but was taken away as a healthy infant and is still out there, somewhere, waiting to be found. It's insane, unbelievable. But why would anyone make that up? A fissure suddenly opens up in Gen's carefully reconstructed life, letting in a flood of unanswerable questions. Where is Beth now? Why is Art so reluctant to get involved? To save his wife from further hurt? Or is it something more sinister? And who can she trust to help her? Ignoring the warnings of her husband and friends, Gen begins to delve into the dark corners of her past, hopeful she'll find a clue to her daughter's whereabouts. But hope quickly turns into fear and paranoia, as she realizes that finding the answers might open the door to something even worse than not knowing. A truth that could steal everything she holds close - even her own life." "London, 1781. Harriet Westerman anxiously awaits news of her husband, a ship's captain who has been gravely injured in the king's naval battles with France. As London's streets seethe with rumor, a body is dragged from the murky waters of the Thames. Having gained a measure of fame as amateur detectives for unraveling the mysteries of Thornleigh Hall, the indomitable Mrs. Westerman and her reclusive sidekick, anatomist Gabriel Crowther, are once again called on to investigate. In this intricate novel, Harriet and Gabriel will discover that this is no ordinary drowning-the victim is part of a plot to betray England's most precious secrets. The critics raved about their first adventure, comparing them with the characters of Tess Gerritsen in period clothes. Fans of Instruments of Darkness will find the smart and spirited pair's second outing just as riveting." "There is no code Elroy Coffin can’t break, nothing he can’t hack, no safe he can’t get into. But for the past two years, he’s been incarcerated in a maximum-security hellhole after a job gone bad, driven to near-madness by the revelation of his beloved wife’s murder. Now a powerful and mysterious visitor who calls herself a “concerned citizen” offers Elroy his freedom if he’ll do another job, and sweetens the deal with proof that his wife might still be alive. All Elroy has to do is hack into one of the most complicated and deadliest security grids in the world—clear and simple instructions for the best in the business. Or so he thinks. Quickly drawn into the epicenter of a secret, brutal war between criminal masterminds, Elroy is forced to run for his life through a rapid-fire labyrinth of deception, betrayal, and intrigue— where no one is to be trusted and every fight could be his last . . . and the real truth hidden beneath the myriad levels of treachery may be too shocking to comprehend. " "Let Me Tell You Something offers insights and lessons on how to create a happy and fulfilling life from Caroline Manzo, the tell-it-like-it-is, breakout star and fan favorite of Bravo’s The Real Housewives of New Jersey. In this personal and practical guide, Caroline Manzo reveals how she has achieved a life that many viewers envy—a close relationship with her children, a strong marriage, and a firm belief in loyalty to friends. She brings her life experience and pragmatic outlook to tough questions about family, friendship, love, and more. With wit and wisdom, Manzo opens up about life, family, raising children, love, and aging. Let Me Tell You Something: Life as a Real Housewife, Tough-Love Mother, and Street-Smart Businesswoman includes personal color photographs and lots of sage advice." * - Denotes a referral link. I get nothing for people using the link. I get a tiny commission if someone clicks through and purchases the book through Amazon in the form of store credit. Seriously, though, it's cheaper at Dollar Tree. Buy it there. Haha! 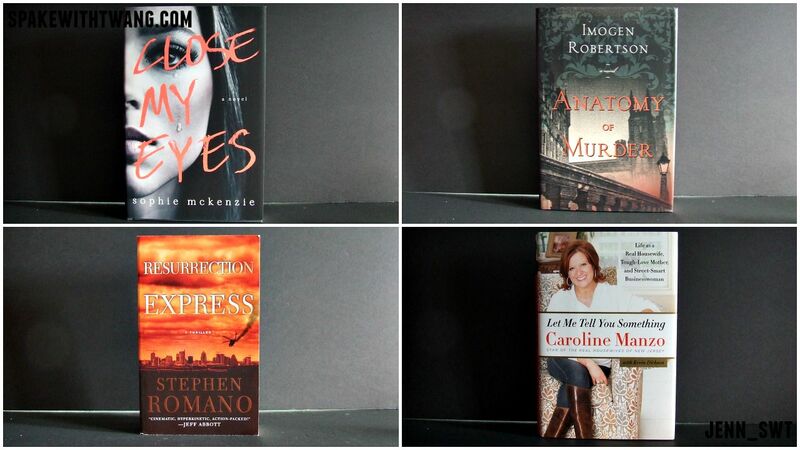 Book teasers are from the book's respective Amazon page. 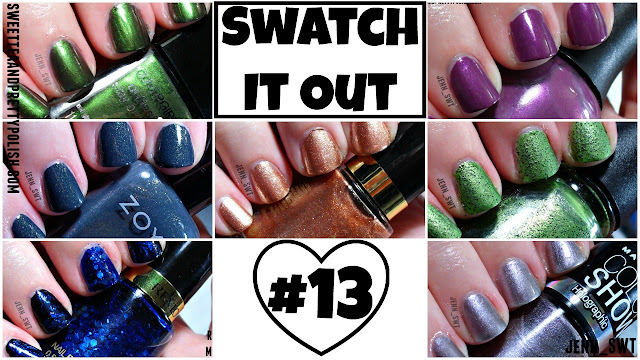 This is a series that I do every other Tuesday in which I pick 7 random polishes from my collection and do swatch pictures, live swatches, and mini reviews. The picture shows 2 coats without a top coat under a daylight bulb. I picked this up over a year ago for $1 at Family Dollar. The formula is good. I achieved opacity in 2 medium coats. 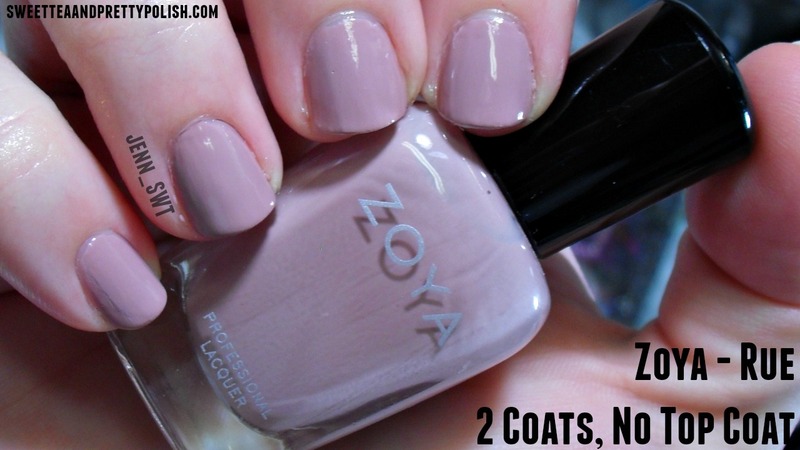 If you have long nails or do thinner coats, you may need 3 coats. This is one favorite polishes for Fall time. It is the one I associate with this time of year the most of any in my collection. The wear time is pretty good but nothing spectacular. I usually get about 4 days with a top coat and base coat. I usually get about a week out of most polishes. So, it's average for me. However, I think it is great for this polish line in which I've had issues with other polishes. The picture above shows 2 coats without a top coat under a daylight bulb. The color is warmer in tone in person than in the picture. It wears on the nail pretty true to how it looks in the bottle. 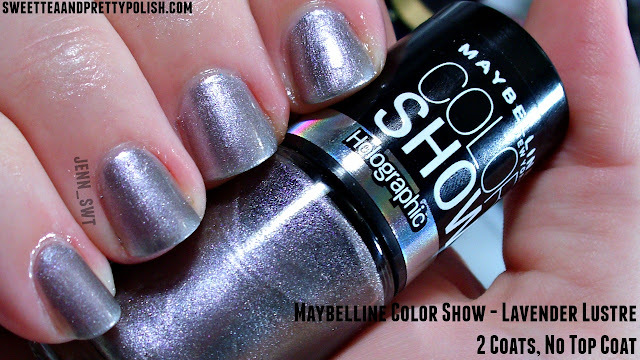 This polish does have a silver shimmer that shows up nicely on the nail but not in my photo. I can't remember exactly what store I picked this one up at, but it was a long time ago and $1.99. Haha! The formula on this one is great. It is one of the best ones in this polish line which has tends to have thick formulas. It just went on the nail like a dream. I've worn this one several times over the last few months, and I always get good wear time out of it with a base and top coat. I usually get at least a week. Even then, it's mainly just tip wear. The picture above shows 2 coats without a top coat under a daylight bulb. 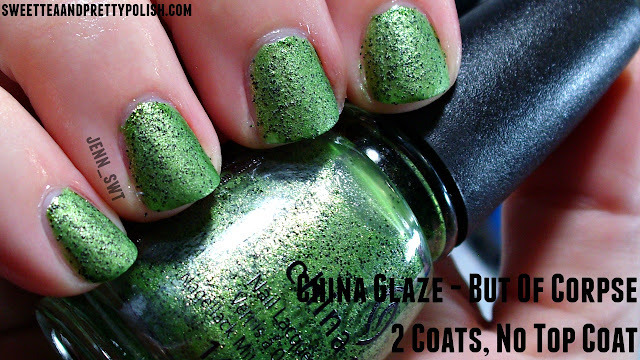 In person, the polish is much warmer in tone and slightly deeper. I picked this up from the company's website during a promotion. The formula on this one is like water. Haha! It is runny. Fortunately, it is not streaky at all. The coverage and finish are very nice, but the polish will just run down the brush if you aren't careful. I have a soft spot for this one, because it is so difficult to find a light neutral that looks nice with my skin tone. They always end up making me look sick or dead. This one looks nice to me. I'm all about that life. I picked this up from Shop Miss A for $1. The formula on this one is great. It just glides on the nail beautifully. The glitter also went on the nail very easily. Unfortunately, that is all the good. Despite being a matte polish, this stuff just wouldn't dry! I wanted 15 minutes, and it still wasn't all the way dry. I went ahead and did the 2nd coat for my live swatch anyway. It wouldn't dry at all. I swear that the KleanColor polishes just don't mesh with my body chemistry or something. I have tried several now and had no luck. They either never dry or I get less than an hour of wear time. I've heard of people having great luck with them. They do make great craft paints for me, I guess. I picked this one up over a year ago from the company's website during a sale. They usually retails for about $12. First, I just have to say that I am very happy that this polish has held up over time. It didn't discolor, separate, or thicken up. I mention this, because I've not had good luck with a lot of indie or subscription box polish brands holding up over time. I also feel it's not something people talk about enough. I have 4 other from this brand, and they have all held up well. The formula is a bit on the runny side but not unmanageable. 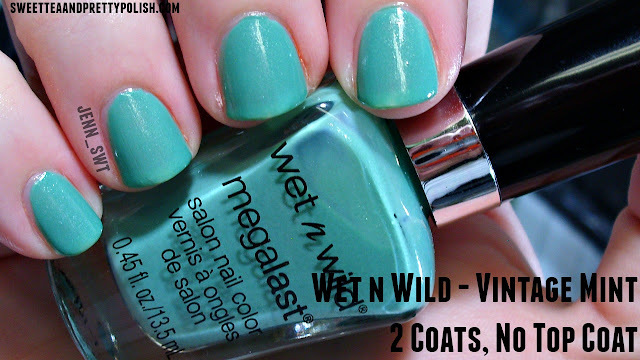 I have worn this numerous times and always get great wear time, a week or more, with a top and base coat. My favorite thing with this one is that it's not like anything else I have in my collection. I just love how those red glitters pop out from the plum base. The picture above shows 2 coats without a top coat under a daylight bulb. The color is much deeper in person. It dries just a hair darker on the nail than in the bottle. I got this at Walgreens during one of their $.99 sales. The formula on this one is runny. It's like the consistency of water. Surprisingly, it's not streaky at all and dries it a smooth, glossy finish. 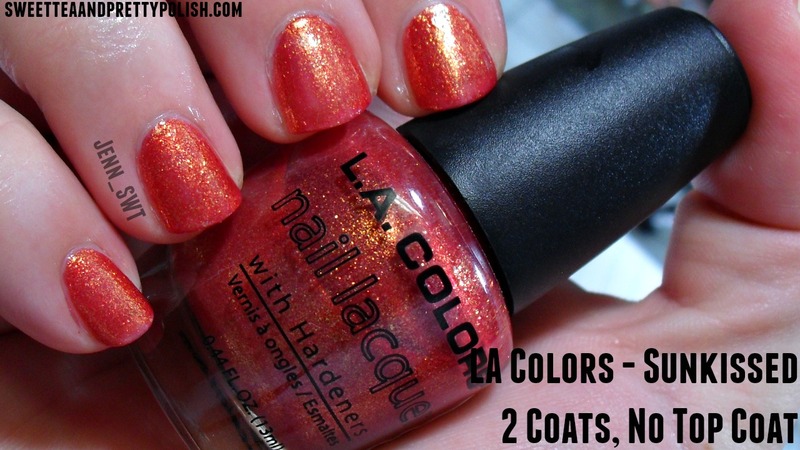 This is one of my favorites to wear in the summer months or just whenever I need a pop of color. I mostly wear it on my toes. I do get good wear time, but the average time a polish lasts on my toes is like 17 years. So, that doesn't mean too much. Haha! 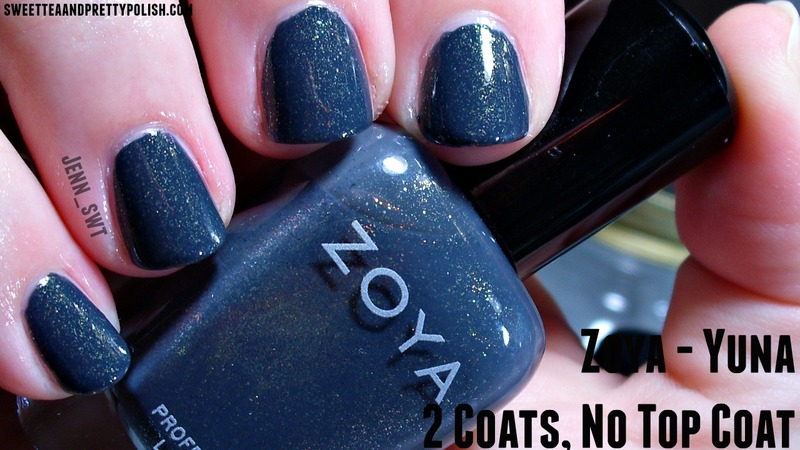 The picture above shows 1 coat over 2 coats of Endless Blue without a top coat under a daylight bulb. The blue is just a hair deeper in person than in the photo, and the glitter has a rainbow flash that isn't picked up by the camera. I picked this one up from Walgreens for $.99. This is very much a topper as it would take half the bottle to get it opaque on its own. The formula is a great consistency. I knew I had to include this one along with Endless Blue as I hardly ever wear one without the other. It's one of my favorite polish combinations. In fact, this combo is what I wore on my toes the entire spring and summer this year. Let's be real. I'll probably slap it back on there after I'm done getting this posted. Dud(s) this week: Despite it being super cute and having a fantastic formula, KleanColor Yogurt Raisins will be retired from my collection. I just have to accept that my nails are just not compatible with this brand or something. Winner(s) this week: I honestly can't pick one. 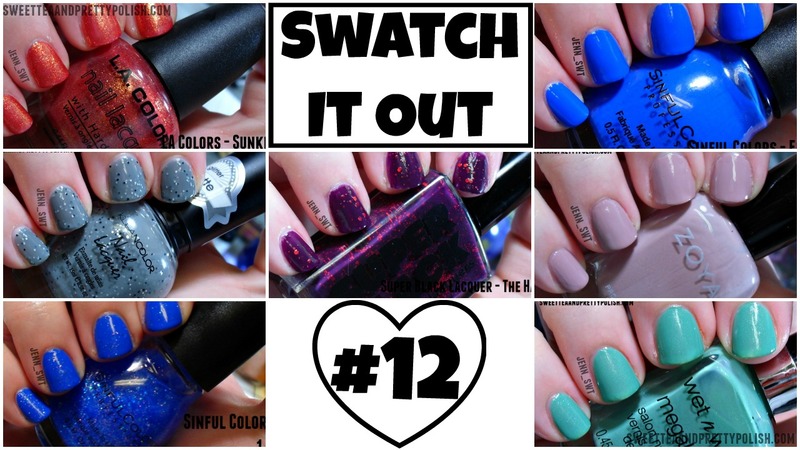 These are some of my favorite polishes to wear even though some of the formulas leave a lot to be desired. I even like the Yogurt Raisins one I named as a dud. I just wish it liked me back.